No fines have been issued so far against people who took the wrong rubbish bag out for collection, but the grace period is now ending. The government unveiled a new waste separation and recycling scheme last year as part of efforts to address mounting waste problems. Regulations came into force in October after weeks of extensive campaigns warning of harsh fines for those who did not abide by the new rules. Under the new scheme, households must separate waste and place organic material in white bags and use black bags for mixed waste. Recyclable items such as paper, plastic and metals are collected separately. Each locality has a schedule laying down which bags are to be taken out on which day. According to the new rules, anyone caught taking the wrong garbage bag outdoors will be liable to a fine of between €150 and €500. A month-long information period, during which warnings were issued instead of fines, ran until the end of November and was later extended. Asked how many fines had been issued since then, a spokesman for the Environment and Resources Authority said no fines were issued” because Environment Minister José Herrera had extended the grace period”. This period, the spokesman said, lasted until the beginning of the New Year”. Dr Herrera had hinted in November that fines would likely” start being issued after Christmas but details supplied at the time were vague. While he had hailed the new waste disposal regulations as the best ever, the Opposition and the mayors of various localities had called on the government to scrap them and start afresh. Residents have complained about refuse collectors mixing white and black garbage bags, arguing that their efforts were useless if all rubbish was being dumped altogether when collected. 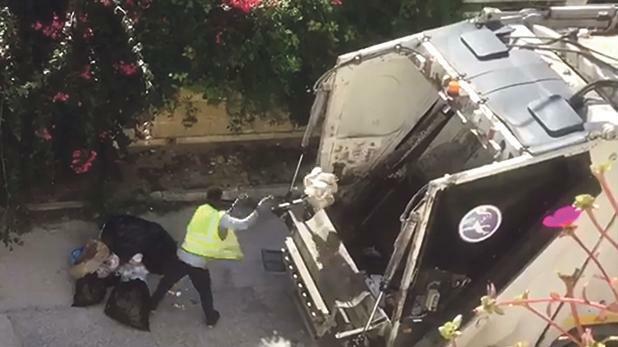 According to the ERA spokesman, refuse-collecting vehicle operators are fined for breaches of their permit conditions when collecting waste” No replies were forthcoming when Times of Malta asked how many such fines were issued. While it remains unclear how offenders who breached the waste separation regulations will be identified, an ERA spokesman had told The Sunday Times of Malta in November that fines for taking out the wrong bag would only be considered as a last resort”.